We found out where local Israeli chefs love to eat in our extensive “Where Israeli chefs eat” article. 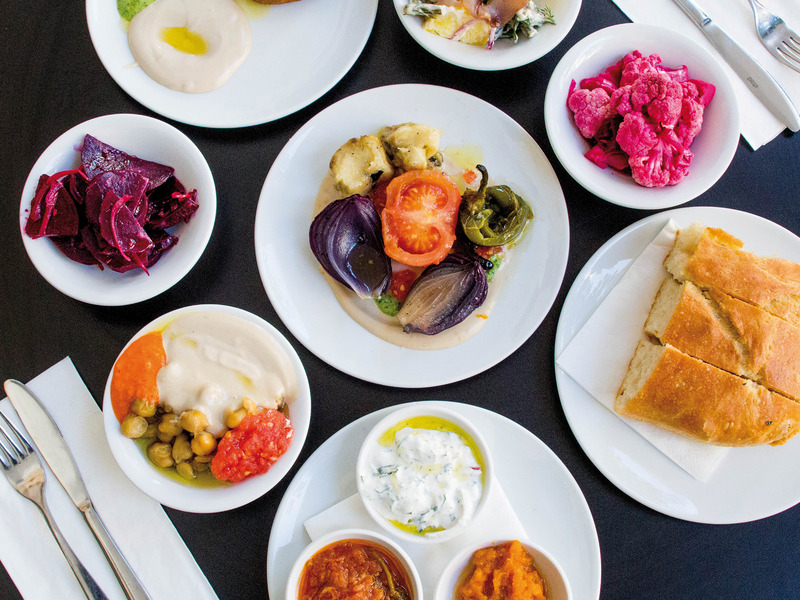 Now, we’ve analyzed the results and come up with the 11 most common restaurants in Israel to eat at alongside a list of things to do in the country. 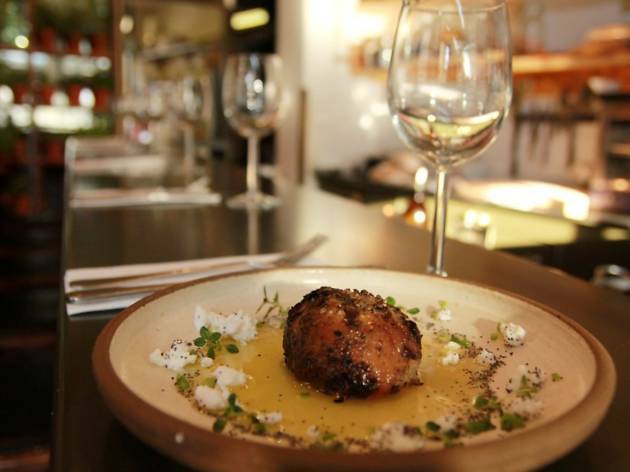 Hipster bites, Asian delights, Tel Aviv street food, hummus hotspots and everything in between, check out the most popular dining establishments among Israeli chefs when off-duty. Classy and chic, this restaurant in the Montefiore Boutique Hotel is a must for lovers of meticulous food and impeccable style. The restaurant offers brunch and evening menus that are as much an oasis of style as the boutique hotel itself. The tasteful jazz paired with elegant antique silverware makes the Montefiore the place to fall in love with French cuisine cast under a Vietnamese spell any time of day. It’s no surprise that Taizu earned the title of Time Out’s Best Restaurant for 2 years in a row (and other accolades the years before) with their “Asiaterranean” cuisine, an extensive, seafood-heavy menu of small plates, amazing flavor combinations and consistent craftsmanship. 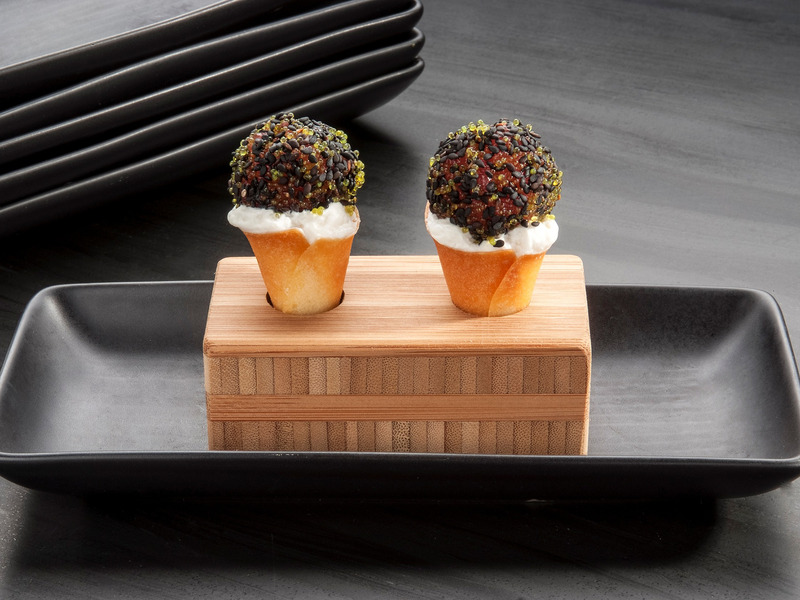 Chef Yuval Ben Neriah’s restaurant is one of the best in town, and Pastry Chef Ana Shapiro’s desserts are in a league of their own thanks to a fusion of savory, sweet and unique ingredients like curry, saffron and other surprisingly harmonious spices. 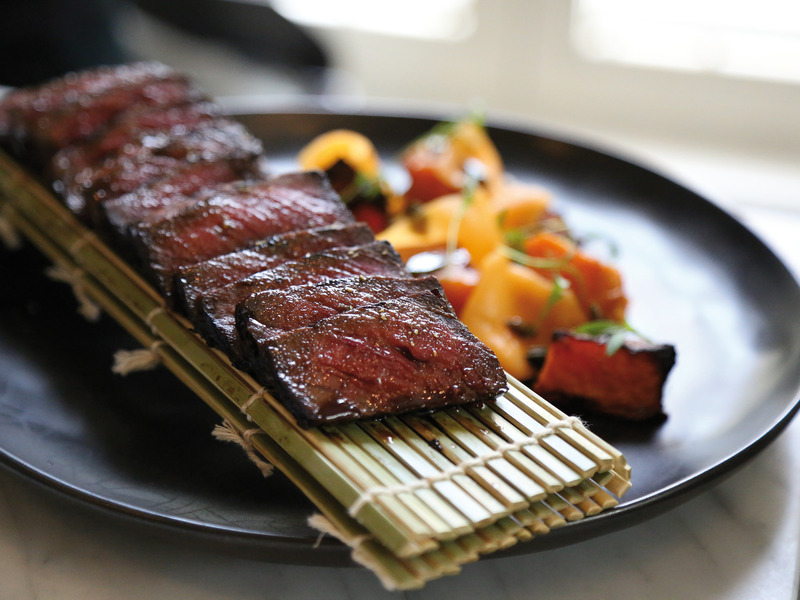 Effortlessly fashionable, this restaurant and bar serves up ethnic cooking with the best local ingredients and a meticulous attention to detail. Eclectic spices, fresh breads from the Tabun (clay oven) and modern takes on Mediterranean comfort food, make it one of the top prize winning restaurants in the city. 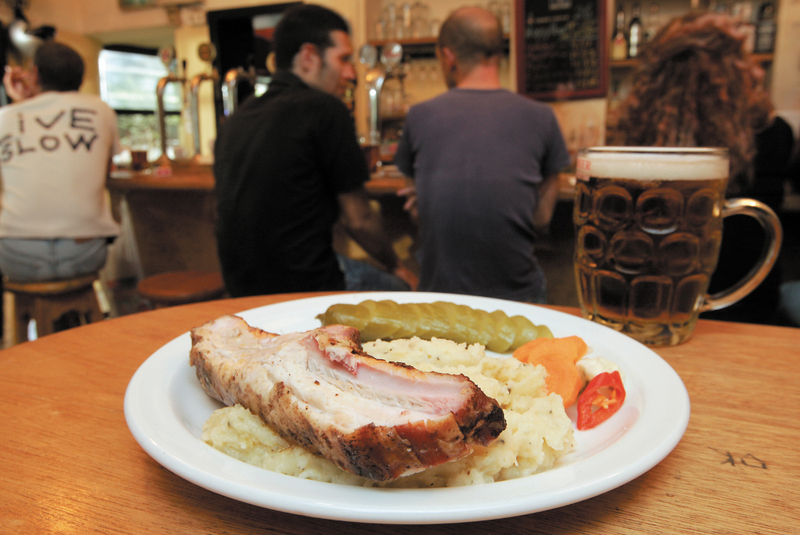 This intimate spot on Ibn Gvirol is the epitome of local cuisine. Showcasing olive oil, fresh fish, meat and a fabulous selection of wine, the only rule here is that it must be from Israel. Each dish is executed with sophisticated simplicity where vegetables take center stage alongside fresh cheeses, charcuterie and more. Over 20 years, this has become one of the most-loved spots in the city, known for mastering the traditional Thai experience from the coconut-milk squeezed every hour to the vegetables grown on their own farm. Experience meticulous attention to detail, bold flavors and an extensive selection of dishes made from the freshest ingredients around. After years of running Tel Aviv's successful Herbert Samuel, chef Michael Grotofsky decided to uproot to northern Israel. This destination restaurant has a warm, welcoming, and rural vibe and authentic farm-to-table dishes, all creatively using the best locally sourced ingredients. Discover delicacies like cauliflower tabbouleh, ‘arais’ (juicy grilled lamb on pita with eggplant and parsley), and fresh gems from the sea. Dedicated foodies come from far and wide to taste chef Michael’s creations. 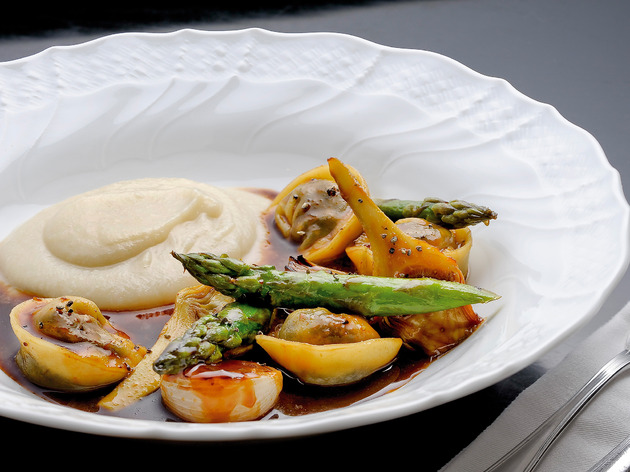 Chef Yaron Shalev‘s award-winning Toto is known for its highly accomplished Italian dishes, excellent seafood, mounds of innovation and the incredible quality of the ingredients used. 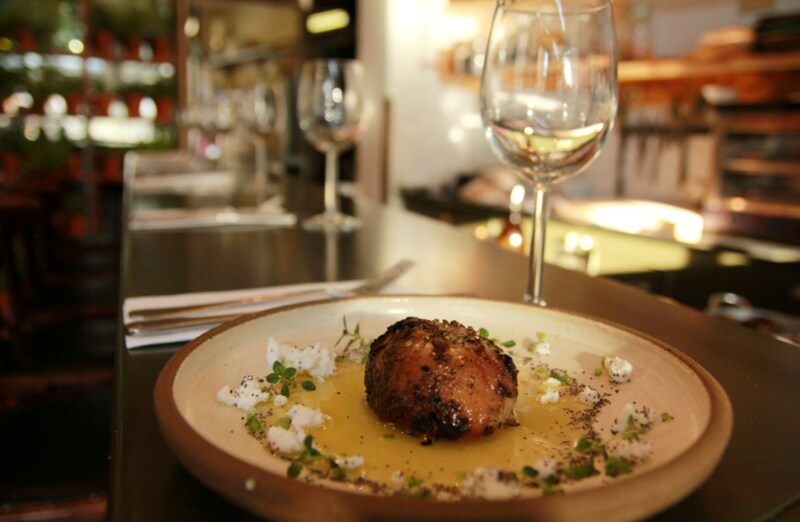 With it’s flattering light, clean lines, comfortable seating and a seasonal menu prepared in style, It’s no surprise that Toto is one of the most loved spots for fine dining in Tel Aviv. Thanks to their creamy hummus dishes, sensational shawarma, and salads chopped to perfection, it's no surprise Hakosem’s always bustling with customers. You can literally taste the passion in every blissful bite, a passion shared by the chefs and the friendly wait staff. At the end of your meal, you’ll be busting at the seams with satisfaction just as the restaurant is busting at the seams with happy customers. Tucked into a nondescript traffic circle in Tiberias, above a generic supermarket and overlooking a tourist-heavy stretch of the Sea of Galilee, Magdalena is quietly redefining Israeli gourmet cuisine. 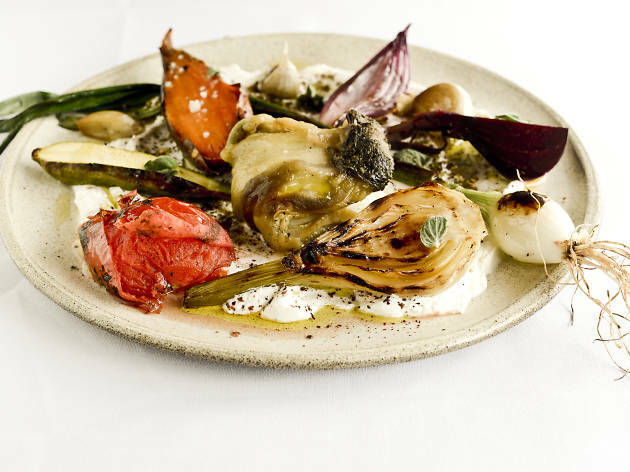 The restaurant, which sits at the Migdal junction, is elegant, refined and entirely surprising. 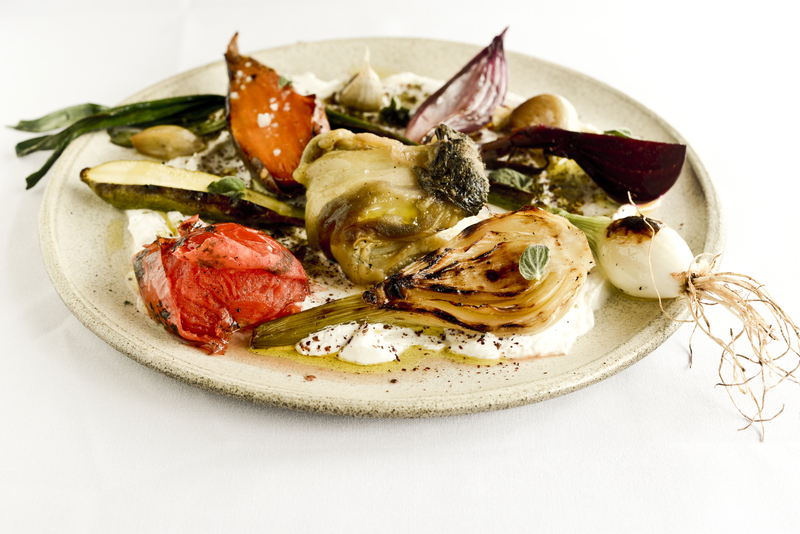 Chef Youssef Hana’s menu fuses home-cooked specialties from the Galilee kitchens Hana grew up in with influences from Lebanon and the wider Mediterranean. Its wide, glistening space makes it a hit with large families and means that meals often come with a side of loud acoustics, but its core element – its menu – is an exercise in simplicity and restraint. 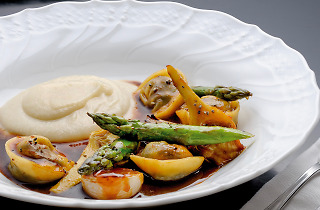 The shishbarak (goat-stuffed dumplings) are bursts of flavor, the zahara (fried cauliflower with tehina and tangy amba) offered a refreshingly elevated twist on a common street-food staple, and the star is the mouthwatering steak topped with bone marrow, foie gras and rich artichoke cream. 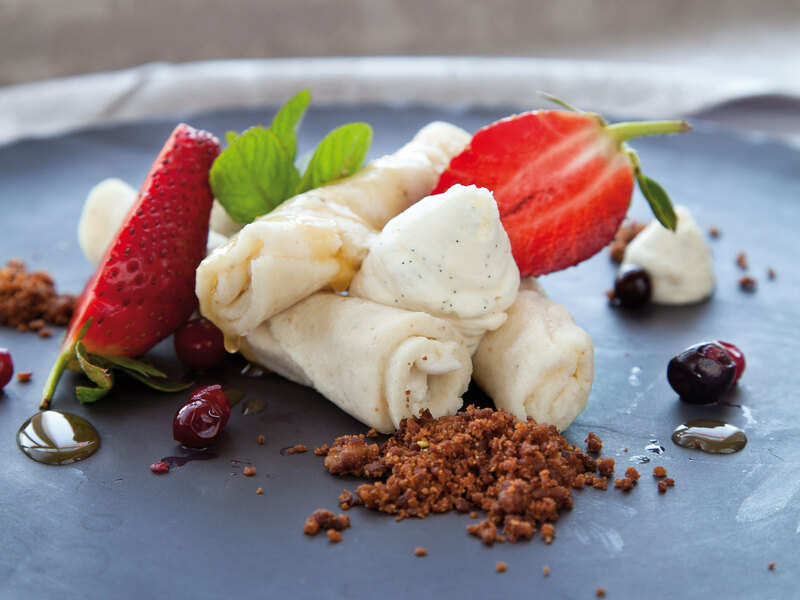 Save room for dessert: their fluffy semolina cigars packed with sweet ricotta, honey and pistachio are pure bliss. 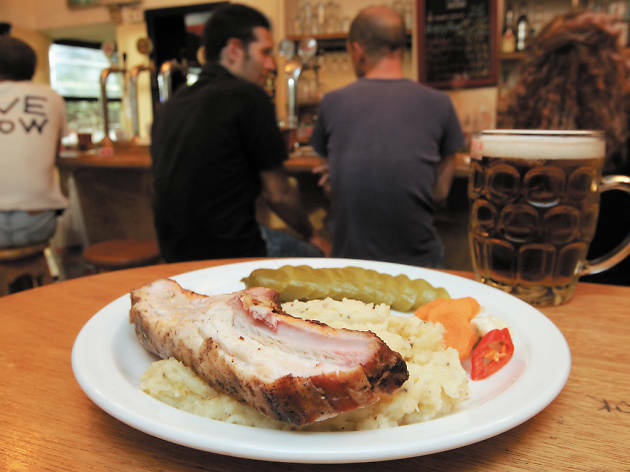 With simple food options and affordable beers, tourists and locals continuously seek out HaMinzar for a lovely night out. With a young and stylish crowd, the vibe and energy is chill, so come prepared to take your time and bask in this calming setting. With mismatched tables and chairs, the unpretentious restaurant setting makes it clear that the owner’s focus is geared towards food and drink. Best of all, HaMinzar is open 24 hours a day, seven days a week. As all the restaurants and eateries in the city are becoming increasingly more sophisticated, polished, and sealed with a neat bow, an authentic initiative feels like a breath of fresh air. Such is Jasmino, the new snack bar opening next week under the guidance of restaurateur Shaul Tevet. 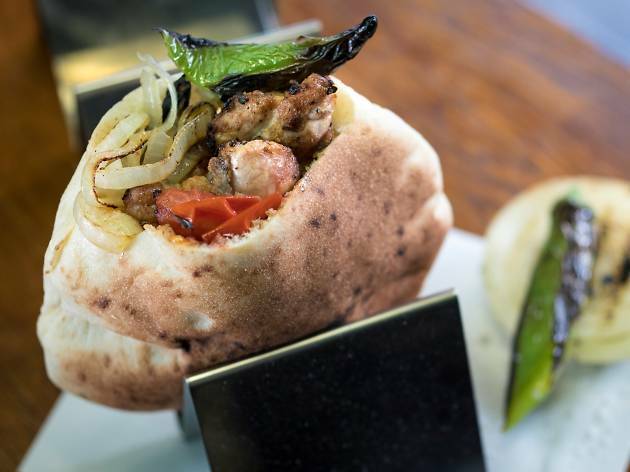 Perched on Allenby - the busy nightlife hub, Tevet promises locals a quality street food establishment that draws the drunk munch crowd. 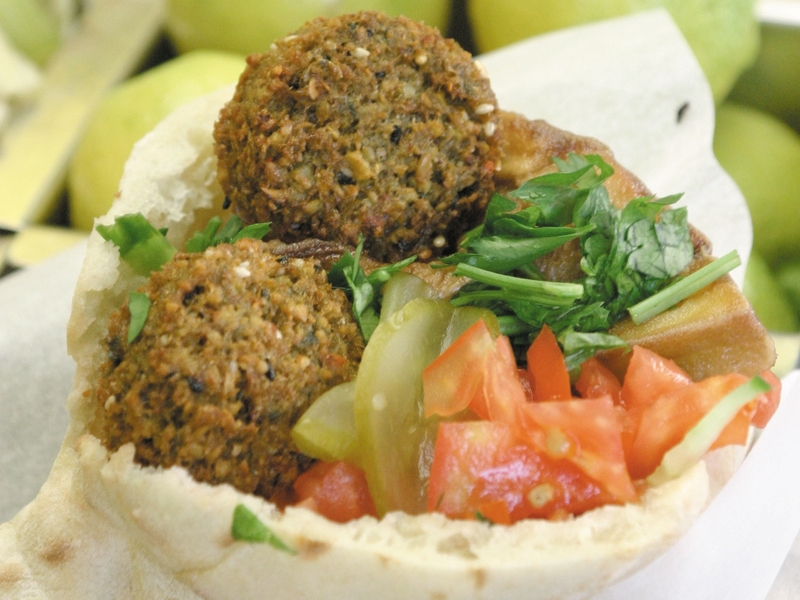 The new pearl will serve up simple, yet sensational, charcoal grilled options in grab-and-go pitas. 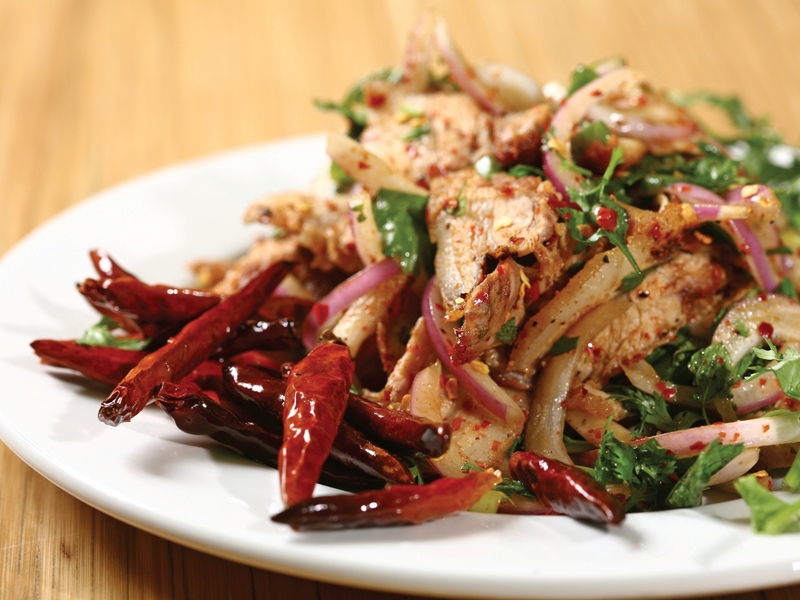 The four options include: kebabs, chicken, housemade sausage, and spicy veal heart. All of these come with salad and pita, hot peppers, grilled onions and tahini. Be the first in your group to swing by this hot spot magnet, then tell all your friends. The more the merrier.